To celebrate Boom Breakfast & Co's 10-year anniversary in January I'm giving away a $30 gift card to one lucky winner to enjoy at Boom! 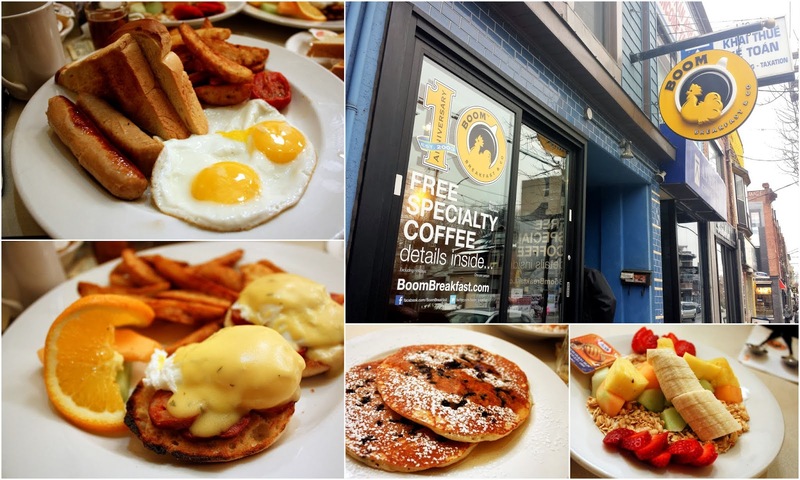 Open 7 days a week till 4pm Boom Breakfast & Co (Twitter: @Boom_Breakfast, Facebook: Boom Breakfast) is the place to be whenever you're craving something casual and comforting for breakfast, lunch or brunch. With four locations in Toronto and the GTA and a large and extensive menu, I'm confident that you'll find something you want at Boom [read my full post here]. Contest starts on Friday, December 27 and ends on Friday, January 3 at 12PM. The lucky winner will be chosen randomly from www.random.org. I will announce the winner shortly after the contest closes on Friday, January 3.